4679 Lawson Road Ashville, NY. | MLS# R1166055 | Chautauqua Lake Real Estate. Specializing Chautauqua Lake helping Buyers and Sellers since 1985. Country Comforts Framed By this Inviting shuttered Ranch with lots of charm. Sensitively sited on 8 acres. Side drive. Wheelchair access, a light and airy aura, open floor plan, large rooms, fireside warmth. Spacious living room with WBFP, a sun-drenched Florida room, bonus room, skylight, unobtrusive recessed lighting, ample storage space, 2½ baths, custom solid maple kitchen with work island, formal dining room, zoned heating/cooling, ceiling fans. 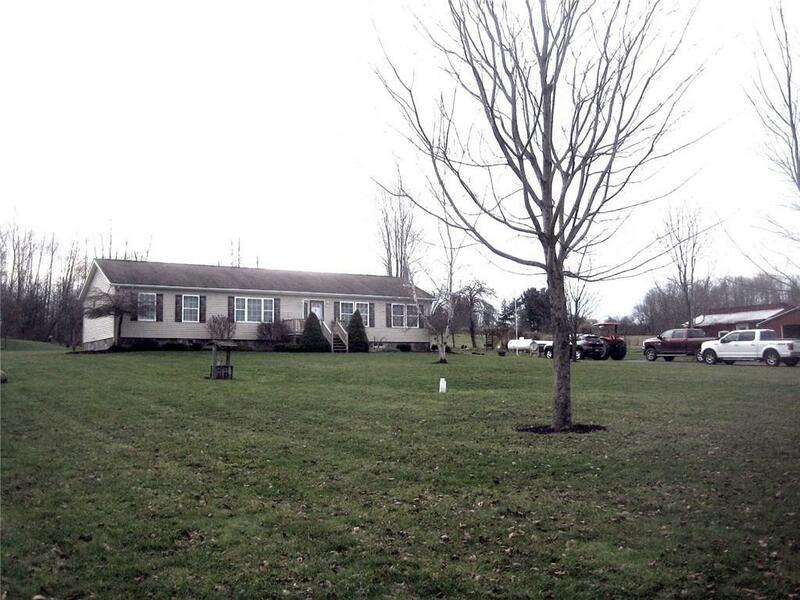 Mature plantings, easy-does-it yard care, A large pond, large trees, gazebo, well water, horses OK, 2 stall barn. PLUS partially finished basement *temperature-controlling thermal glass ,carpeting and More. Directions To Property: Head South On Big Tree Rd. Turn Left Onto Lawson Rd Home Is On The Right. Nearest Cross Street: Big Tree Rd.